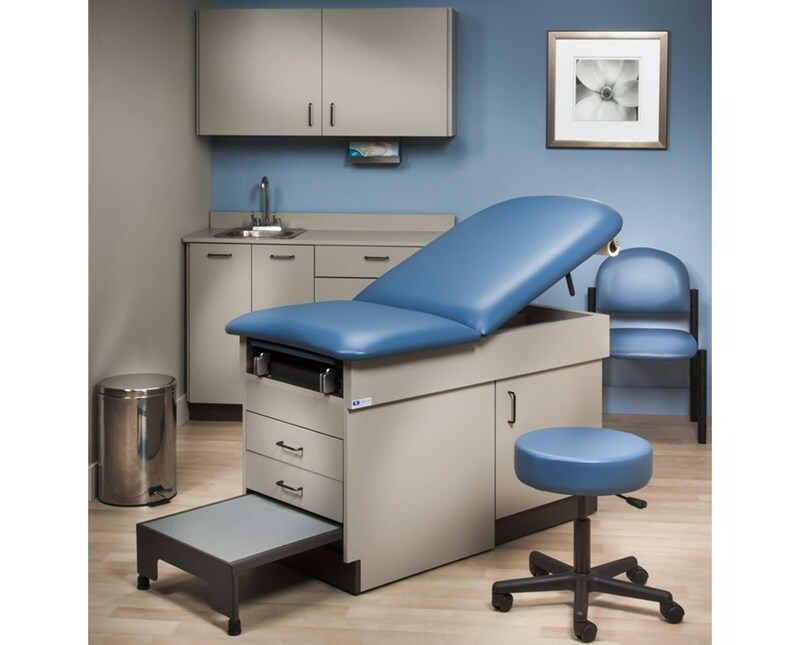 Furnish your exam room in one order. Combine the most popular Clinton essentials for a modern, functional and user-friendly room. 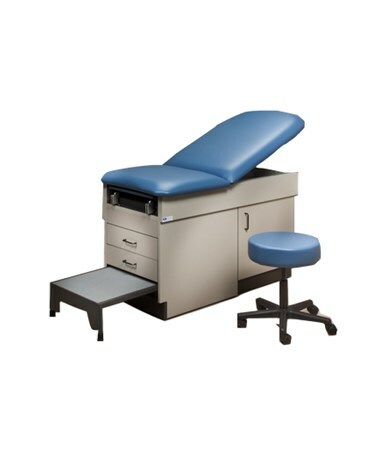 This Ready Room includes the Exam Table, Wall and Base Cabinets, Stainless Steel Sink and Faucet, Single, Stainless Steel Glove Box Holder, 5-leg Stool, Stainless Steel Waste Receptacle and a coordinating Padded Side Chair. 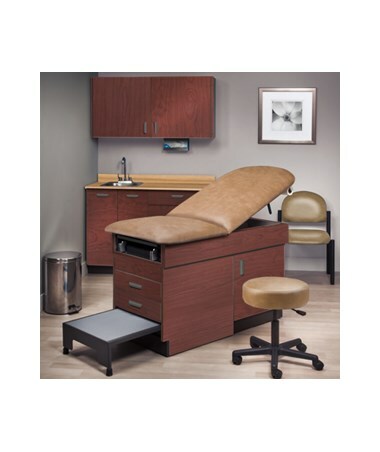 The all Fossil Laminate Family Practice Table features a chip-resistant laminate base with an easily accessible overall height of 31 inches. 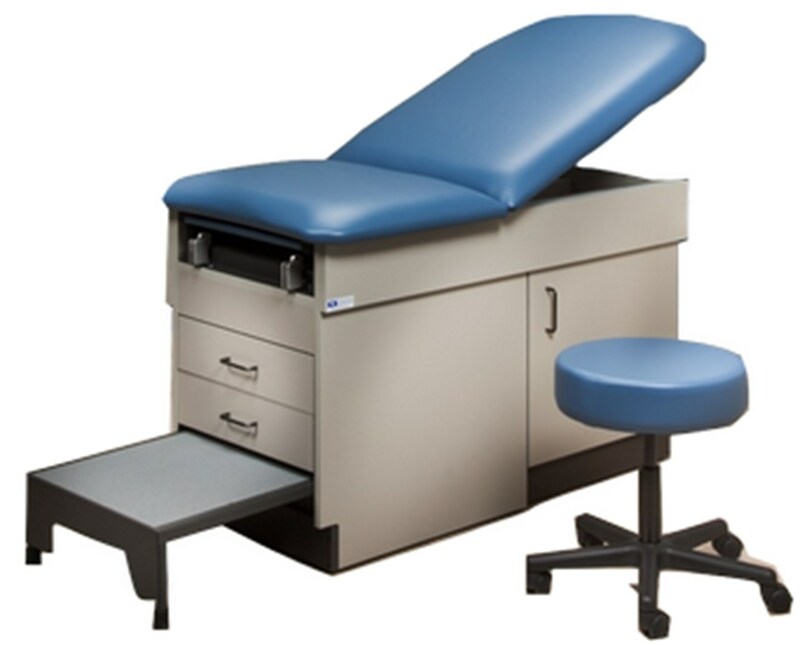 The table includes a pneumatic backrest that adjusts from either side. 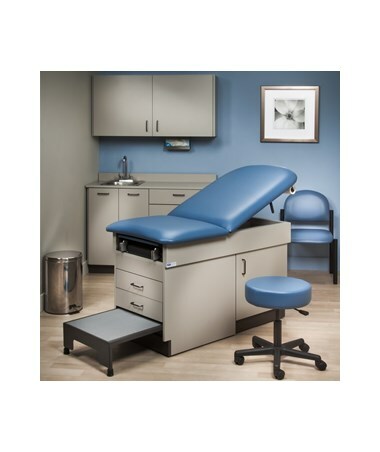 The compact design offers cleverly integrated storage space such as two Euro-style drawers with steel slides, a pull-out leg rest, and a pull-out two-position stirrups that are built in at the foot of the table. It also features silver drawer pulls. The laminate and plywood paneled table supports up to 400 pounds, and is available in a choice of 5 popular upholstery colors. 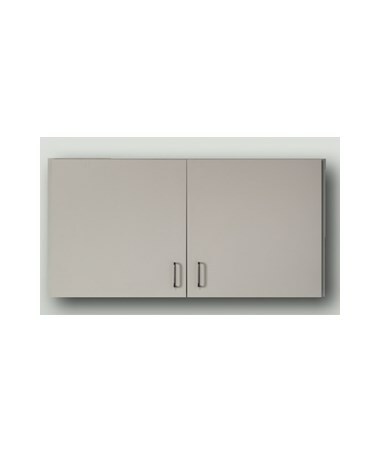 The Fossil Wall Cabinets include 2 doors and 1 adjustable shelf. The tough, chip resistant edges are pre-assembled to save installation time. The cabinets easily mount with a hook and rail mounting system. 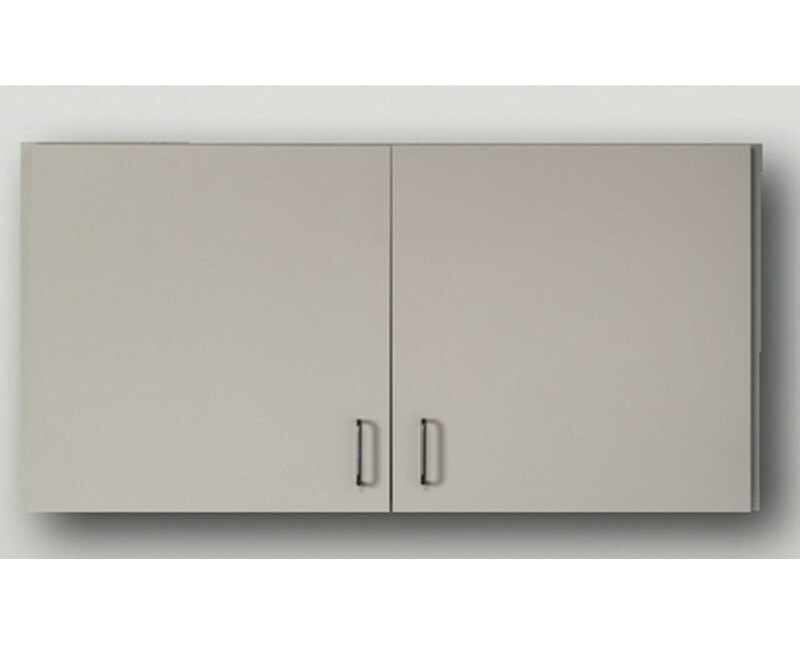 These are fully adjustable soft-close cabinets with Euro-style hinges. The cabinets measure 48" Length x 12" Depth. The Base Cabinets include 4 doors, 2 drawers, and 2 adjustable shelves. 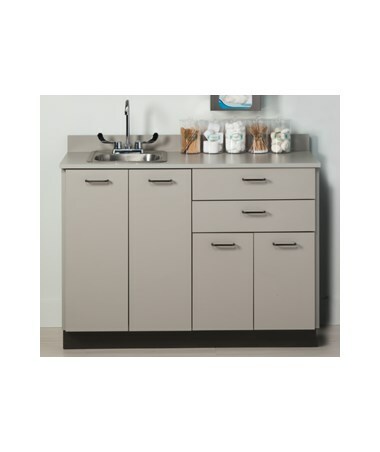 The cabinets include a stainless steel sink with wing lever and a chrome faucet. 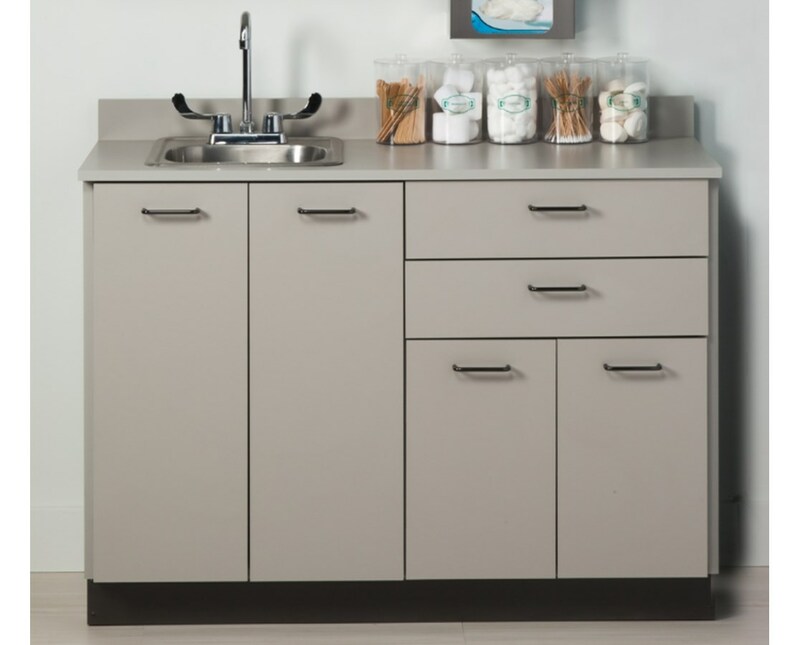 This easy to clean cabinet features all laminate surfaces and tough, chip resistant edges. Fully adjustable, soft close and Euro-styled hinges, and a 3.5" backsplash make these cabinets convenient, comfortable and user-friendly. 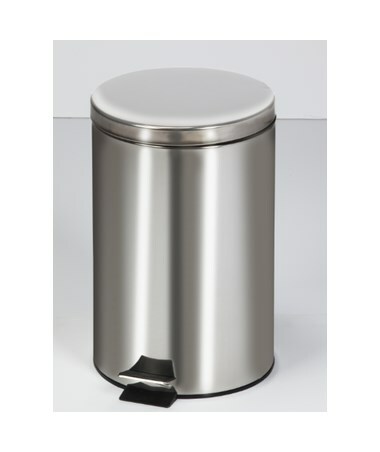 The smooth glide, Euro-style drawers with one piece metal sides support of to 75 lbs. The units are pre-assembled to save installation time. The doors and drawers can be relocated to suit your needs and accommodate the sink locations. This cabinets measure 48" Length x 18" Depth. 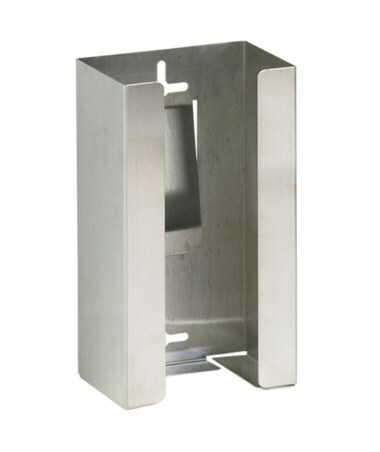 The Stainless Steel Glove Box Holder is designed with a universal side to fit most glove boxes. All mounting hardware is included for horizontal or vertical mounting. The open design allows for easy glove identification. This holder is not MRI compatible. 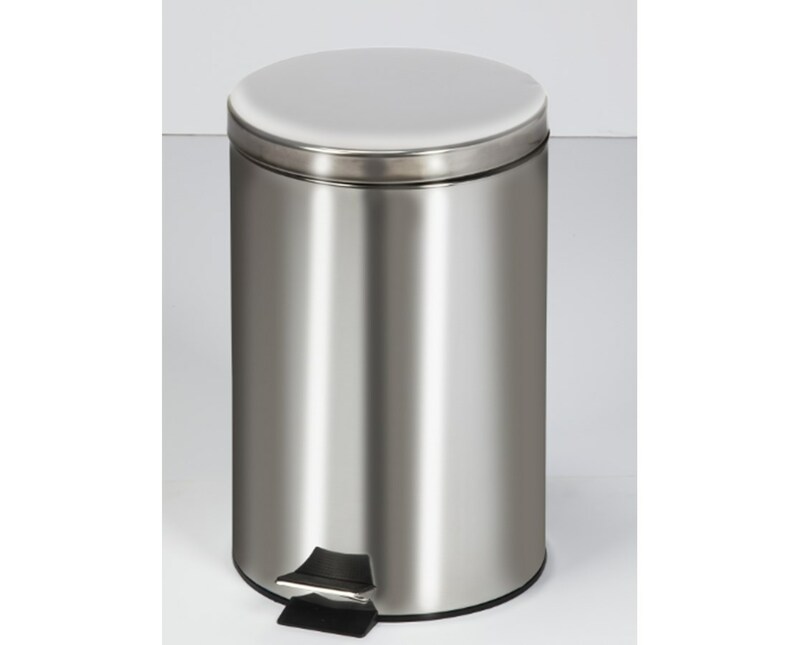 The Stainless Steel Waste Receptacle is a 20 quart capacity with a step-on foot pedal operated lid. 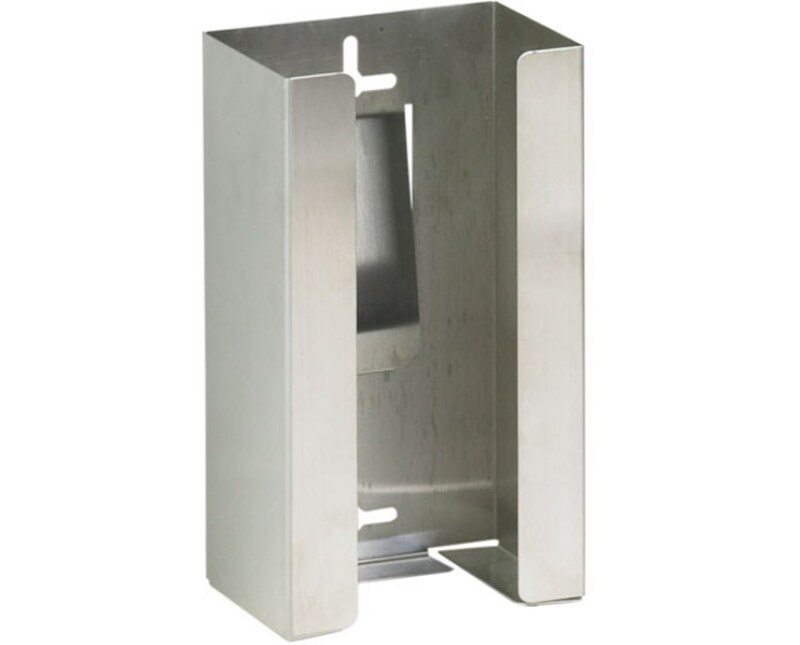 The one-piece plastic base keeps the metal from contact with the floor surface. The chrome handle are easy to clean and move. 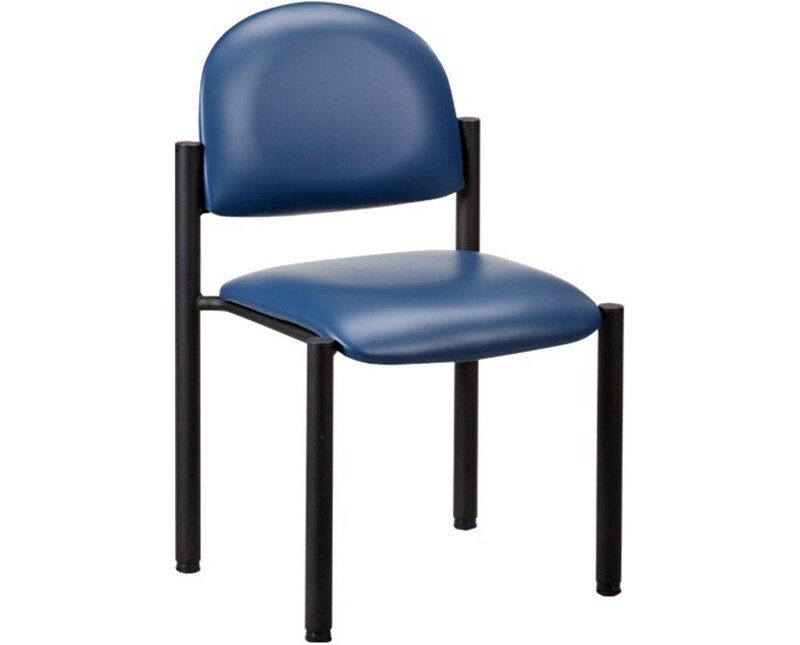 The Padded Side Chair is a heavy duty chair with a black powder coated frame finish. The solid plywood contoured seat and back feature a wall save guard. Adjustable leg leveler are included on the 1-1/2" diameter legs. 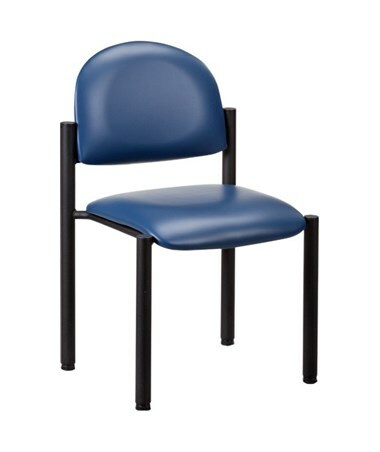 Comfortable premium knit-backed upholstery and 2" thick firm foam padded seat and back offer added comfort. The chair accommodates up the 300 lbs. load capacity. 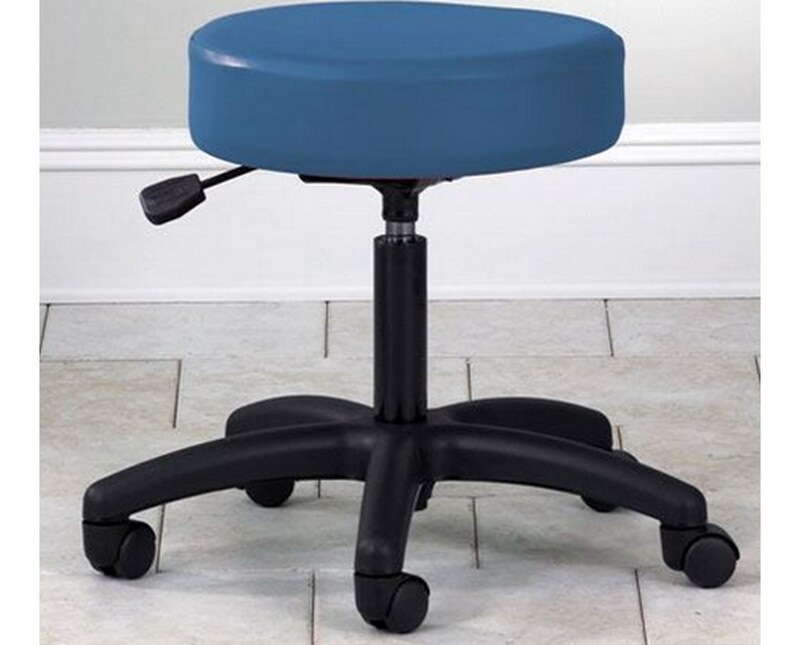 The 5 Leg Pneumatic Stool is a comfortable and adjustable stool with a thick padded seat. 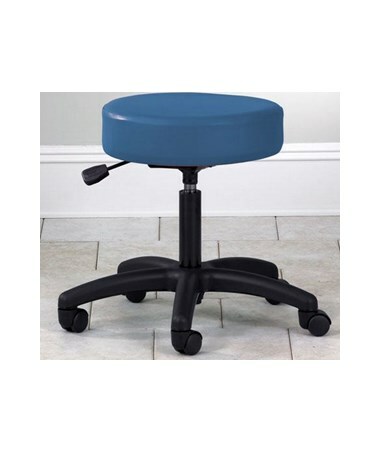 The 21" black nylon stool with dual wheel casters offers easy pneumatic height adjustments. The premium stain-resistant woven knit-backed vinyl upholstery offer years of reliable comfort. This stool accommodates up the 250 lbs. under normal use.